WorrellCorp designs, builds and maintains Company webstores with a retail experience. Specifically built to allow our customers a system that is easy to navigate and order the items they are looking for and extend your brand. Sign up for the service and select your options. One of our representatives will walk you through the whole set-up process. With your input, we construct your site using your branding guidelines and specifications. You pick what items we have to choose from and we will populate the site with said items. Website is launched and ready for your company to use. When you want new items added to the store, or old items removed, all you have to do is put in a request to us. The platform is built and designed for today’s customer. Clean and professional Company Stores with the robust functionality you need for your Company Store. Want an easier way to order apparel, marketing materials, printing. and promotional items? Worrell Corporation can build and maintain a web store for your company. Make it easier for your people to order the items they need or want. 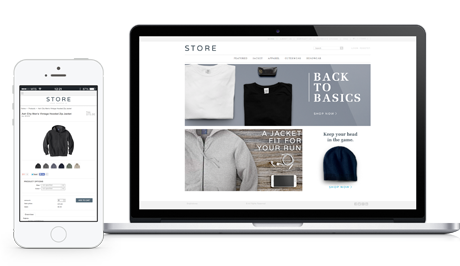 We communicate with you throughout the process to make sure your webstore is exactly what your company needs. Our expert staff will be there to guide you through the process, offer professional opinion, and even suggest what to populate your webstore with. Click through a demo store!